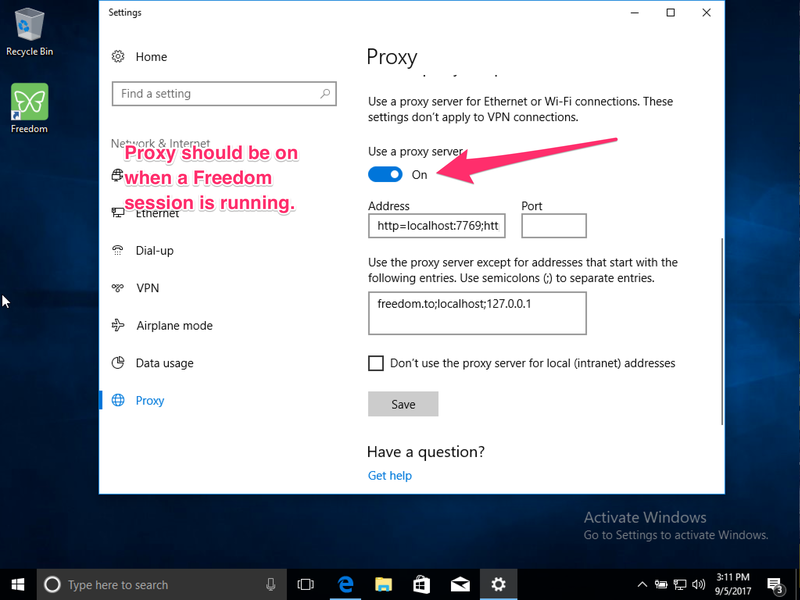 Issue: Freedom doesn't seem to work on Windows, and I suspect it has something to do with proxy settings. 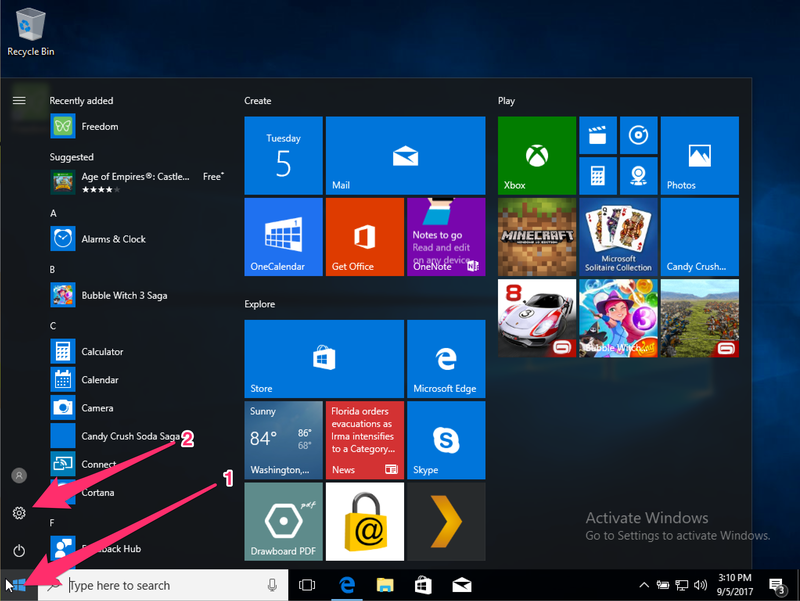 How can I check? 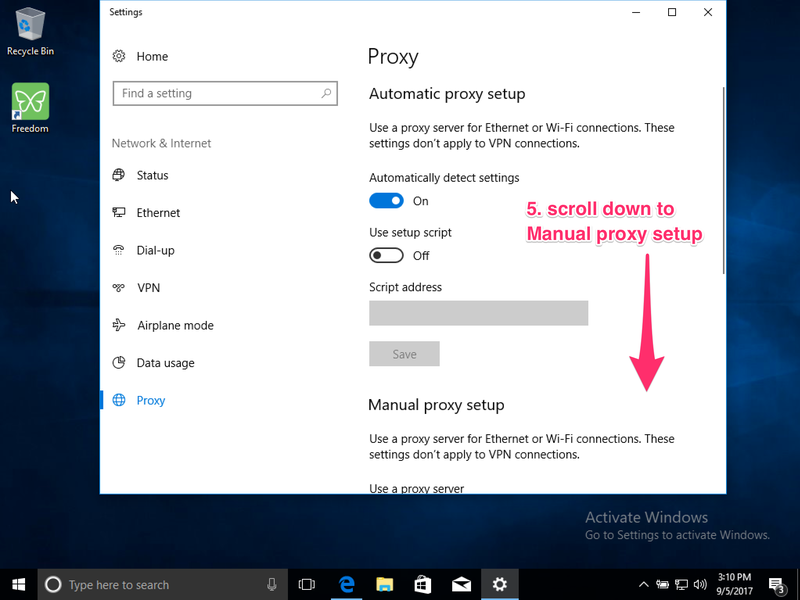 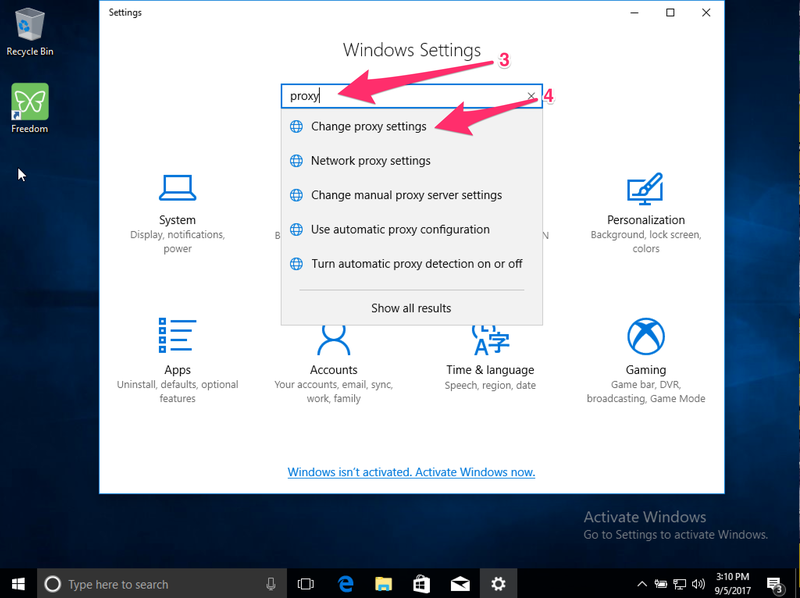 Using the below steps, you can check the status of the Windows proxy. 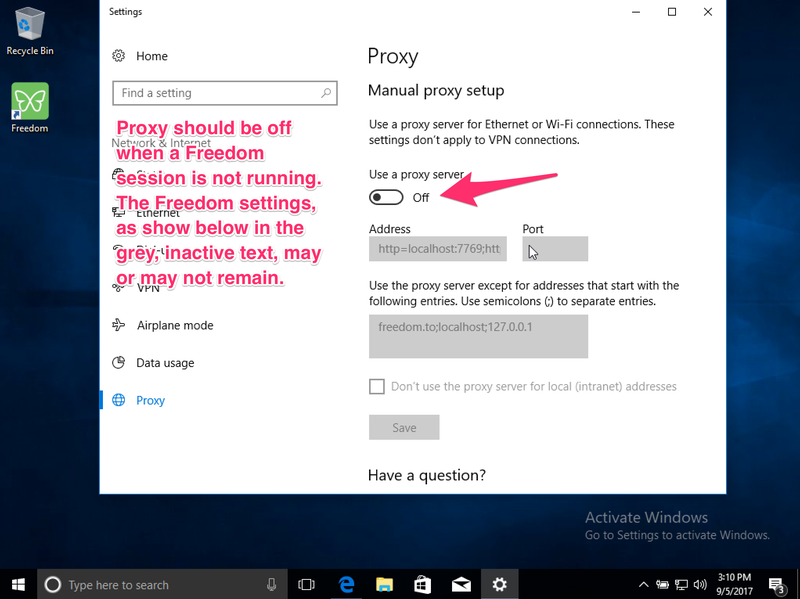 If Freedom isn't working and the proxy is off, you may want to investigate if other software on the system is interfering.